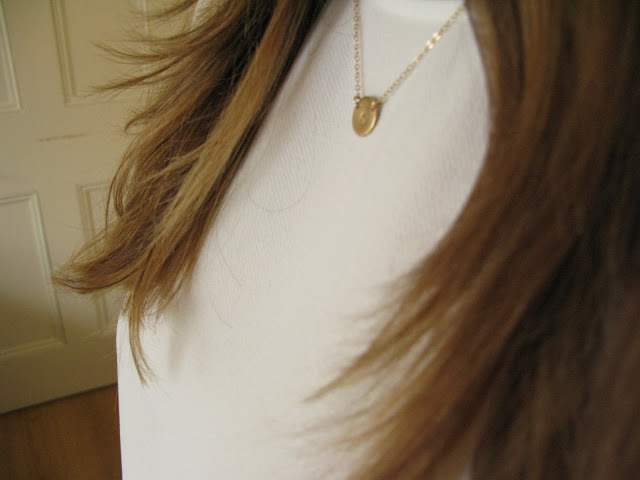 I thought I'd do a little outfit post featuring a few new purchases. I wore this outfit on Saturday night for my brother-in-law's birthday celebration meal at a lovely pub in Wiltshire. I'll be honest - I was PETRIFIED that my top was quite so white. I kept thinking of Carrie in SATC saying she would never be the type of girl who could wear white and not spill on it. Thankfully, I was lucky that evening and the top remains pristine (for now)! Anywho, the blouse is from Whistles (it featured in my shopping wish list below - I act fast). 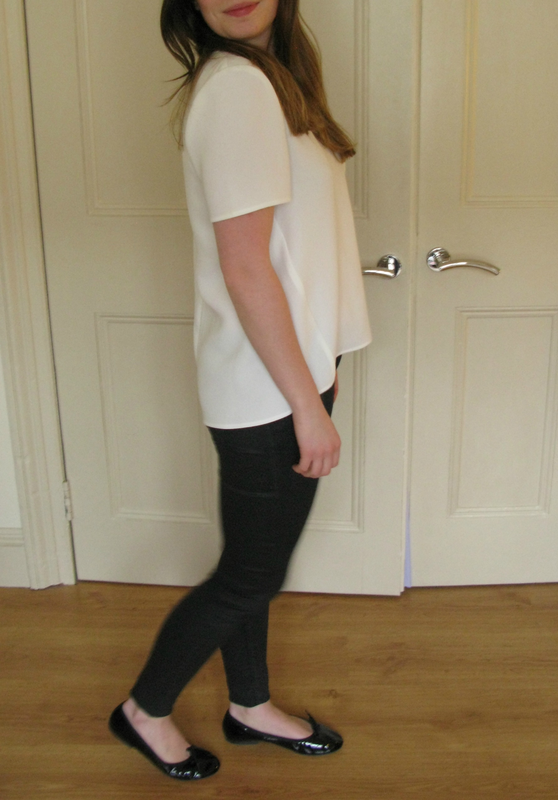 I love the structured simplicity of it - I'm always happy to welcome white blouses into my wardrobe. My jeans are coated which I'm very much enjoying at the moment - gives a bit of edge to any outfit. 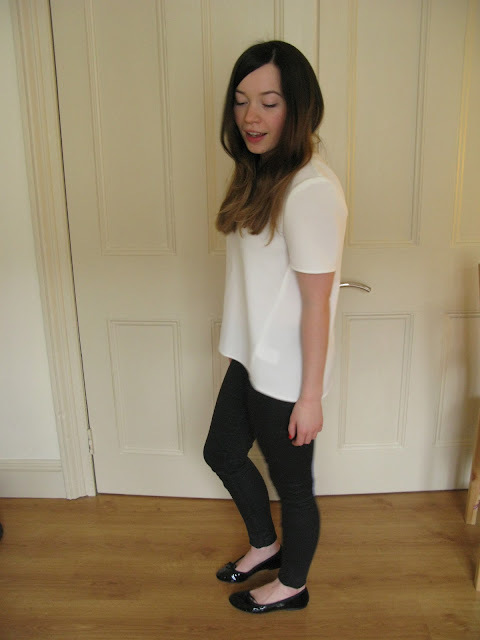 My patent ballet flats are from Russell & Bromley and were a bit of a coup. They were only £44! Why? I headed down to the Children's section, that's why. They have some of the exact same styles as upstairs for a fraction of the price. Most of R&B's ballet flats go for £95, so you can understand my smugness. 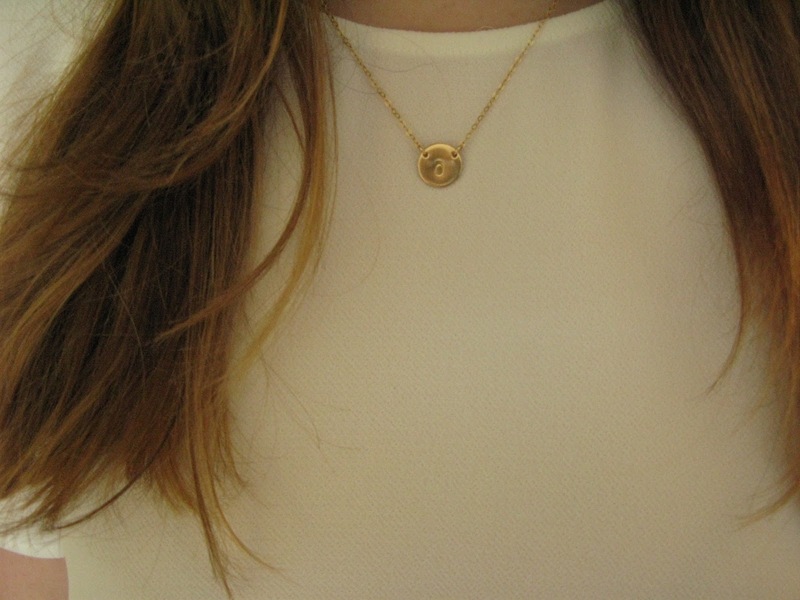 My new favourite initial necklace features too - this has hardly left my neck since it arrived in the post not long ago. Can't go wrong with the classics, looks lovely! And those Leigh jeans look a great fit! Love this B&W look! That top is everything! I love it! I'm the same, always acting quickly on my wishlists, as once my mind is made up there's no turning back. I wish my feet were small enough to fit the kids styles, unfrotunately not, but lucky for you! What is the sizing of the leigh coated jeans like? Are they quite skinny at the ankles? I bought some Cheap Monday's recently but they aren't skinny enough for me! Very pretty. I love black and white.